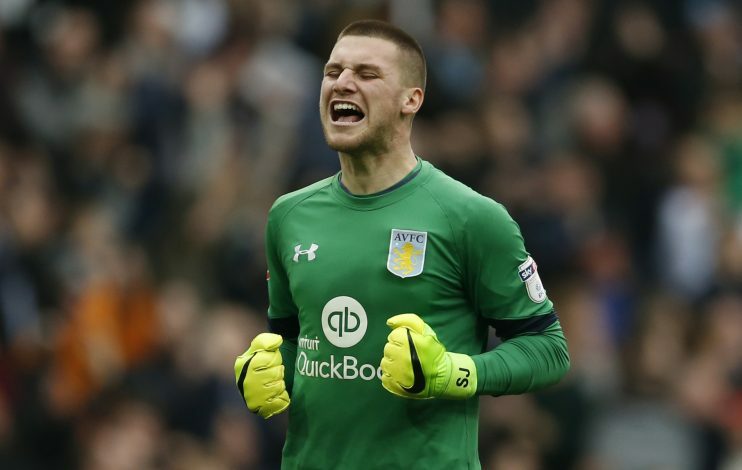 Aston Villa boss Steve Bruce is longing to bring in Manchester United’s loanee goalkeeper Sam Johnstone on a permanent basis following his stellar performances for the Villans, as per reports. Johnstone, who has one more year left on his contract at Old Trafford rejoined Villa on a season-long loan in the summer transfer window. Since his arrival at the Villa Park, the 24-year-old has majorly impressed manager Steve Bruce, who as per Express, is ready to do ‘everything’ to keep the English shot-stopper at the club. The Red Devils’ loanee was influential in the Villans’ 2-1 win over Fulham on Saturday, as he made a stunning save to grab all three points for his side. John Terry’s first goal for Villa was canceled by a wonderful Stefan Johansen free-kick, and even though Albert Adomah’s second half goal gave the Lions a lead again, Johnstone’s blinder-of-a-save was the key to Aston’s triumph. Speaking after the win, the English manager said: “I know he was disappointed with their goal. It’s understandable because it has gone in his side. But his save is as good a save as I have seen for a very long time. It was up there with the De Gea save, a reflex stop. Johnstone has never played a competitive fixture for United in his career at Old Trafford, and with David de Gea in goal and Sergio Romero on the bench, the chances of the 24-year-old getting a start seem to be extremely bleak.